It is all in the cloud. Managing your apps for mobile engagement and asset tracking has never been easier. 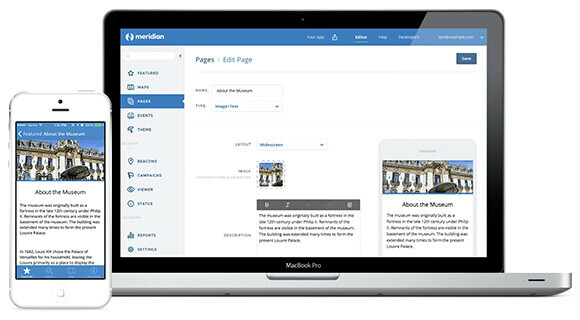 The Meridian software platform offers access from anywhere. It includes visibility, analytics, and the scale needed to support any deployment - from one building to large public venues. When it comes to easy-to-use mobile apps, we know what it takes. With Aruba AppMaker, a wide range of flexible options ensure that your mobile app satisfies your users’ location needs on both iOS and Android devices. No app building experience needed. Aruba bridges the gap between a physical and digital world to take your app to the next level. Blue dot and asset tracking connect items around you, while proximity-based notifications mean you can inform or promote from any location. 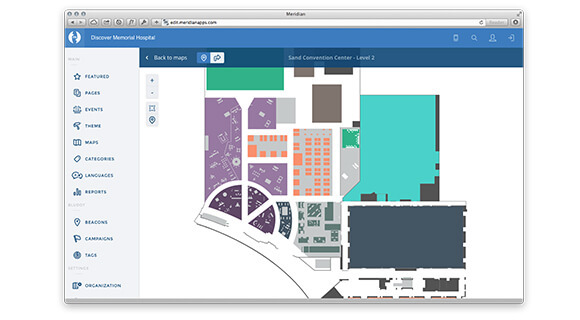 Our Software Development Kits make it easy to add indoor navigation, asset tracking, and personalized push-notifications to your venue’s iOS and Android app. 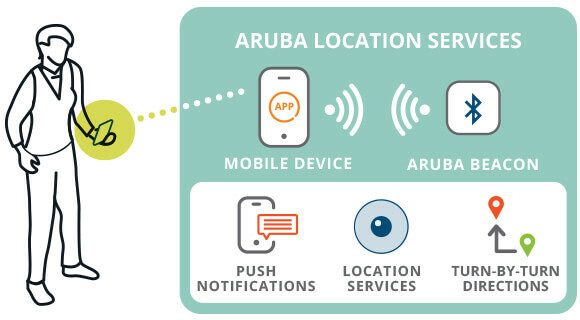 Setting up Aruba Beacons and Aruba Tags is simple and fast. Meridian mobile configuration apps make things easy, even if you’re not an expert.